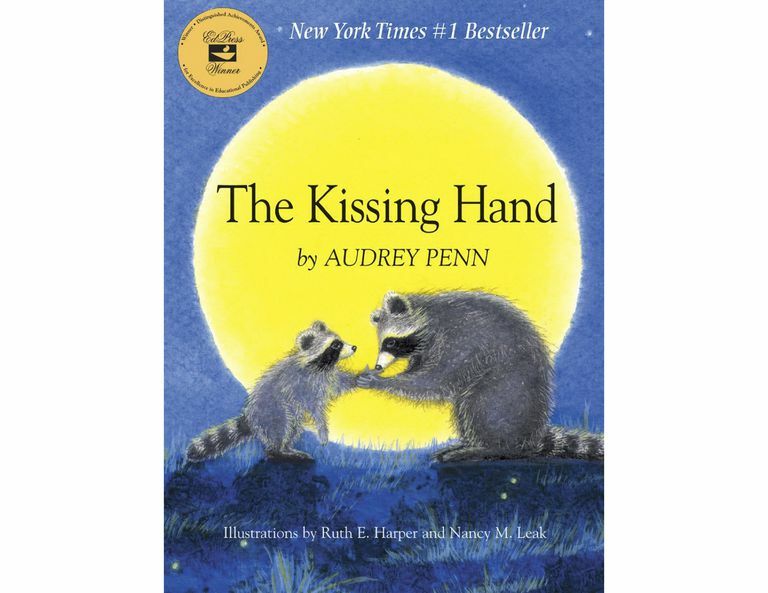 Since it was first published in 1993, The Kissing Hand by Audrey Penn has provided reassurance for children dealing with difficult transitions and situations. While the focus of the picture book is on fears about starting school, the reassurance and comfort the book provides can be applied to many different situations. The Kissing Hand is the story of Chester Raccoon, who is terrified to tears at the thought of starting kindergarten and being away from his home, his mother and his usual activities. His mother reassures him about all the good things he will find at school, including new friends, toys, and books. Best of all, she tells Chester that she has a wonderful secret that will make him feel at home at school. It's a secret, passed down to Chester's mother by her mother and to her mother by Chester's great-grandmother. The name of the secret is the Kissing Hand. Chester wants to know more, so his mother shows him the secret of the Kissing Hand. After kissing Chester's palm, his mother tells him, "Whenever you feel lonely and need a little loving from home, just press your hand to your chest and think, 'Mommy loves you.'" Chester is reassured to know that his mother's love will be with him wherever he goes, even kindergarten. Chester is then inspired to give his mother a kissing hand by kissing her palm, which makes her very happy. He then happily goes off to school. The story is slightly stronger than the illustrations, which while colorful, are not as well executed as they could be. However, kids will find Chester to be appealing in both the story and the illustrations. At the end of the book, there is a page of small red heart-shaped stickers that have the words "The Kissing Hand" printed on each of them in white. This is a nice touch; teachers and counselors can give out the stickers after reading the story to a class or parents can use one whenever a child needs reassurance. According to her website, Audrey Penn was inspired to write The Kissing Hand as a result of something she'd seen and something she did as a result. She'd seen a raccoon "kiss the palm of her cub, and then the cub put the kiss on his face." When Penn's daughter was scared about starting kindergarten, Penn reassured her with a kiss to the palm of her daughter's hand. Her daughter was comforted, knowing the kiss would go with her wherever she went, including school. 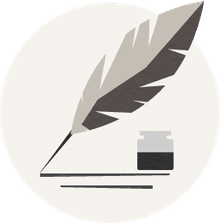 After her career as a ballerina came to an end when she became ill with juvenile rheumatoid arthritis, Audrey Penn found a new career as a writer. However, she began writing a journal when she was in the fourth grade and continued writing as she was growing up. Those early writings became the basis for her first book, Happy Apple Told Me, published in 1975. The Kissing Hand, her fourth book, was published in 1993 and has become her most well-known book. Audrey Penn received the Educational Press Association of America's Distinguished Achievement Award for Excellence in Educational Journalism for The Kissing Hand. Penn has written about 20 books for children. In all, Audrey Penn has written 6 picture books about Chester Raccoon and his mother, each focusing on a different situation that can be difficult for a child to deal with: A Pocket Full of Kisses (a new baby brother), A Kiss Goodbye (moving, going to a new school), Chester Raccoon and the Big Bad Bully (dealing with a bully), Chester Raccoon and the Acorn Full of Memories (the death of a friend) and Chester the Brave (overcoming fears), She also wrote A Bedtime Kiss for Chester Raccoon, a board book dealing with bedtime fears. As to why she writes about animals, Penn explains, "Everyone can identify with an animal. I never have to worry about prejudice or hurting someone's feelings if I use an animal instead of a person." Ruth E. Harper, who was born in England, has a background as an art teacher. In addition to illustrating The Kissing Hand along with Nancy M. Leak, Harper illustrated Penn's picture book Sassafras. Harper uses a variety of media in her work, including pencil, charcoal, pastel, watercolor, and acrylic. Artist Nancy Leak, who lives in Maryland, is known for her printmaking. Barbara Leonard Gibson is the illustrator of all of Audrey Penn's other picture books and board books about Chester Raccoon. The Kissing Hand has provided a lot of comfort for scared children over the years. Many schools will read it to a new kindergarten class to ease their fears. In most cases, children are already familiar with the story and the idea of the kissing hand really resonates with young ones. If you are looking for bedtime stories for young children that are reassuring, Amy Hest's Kiss Good Night, illustrated by Anita Jeram, is a good recommendation, as is by Margaret Wise Brown, with illustrations by Clement Hurd. For young children worried about starting school, the following picture books will help ease their fears: by Lauren Child, First Grade Jitters by Robert Quackenbush, with illustrations by Yan Nascimbene, and Mary Ann Rodman's First Grade Stinks!, illustrated by Beth Spiegel.